In this installment of Today’s Healthy Community, your host, Rebekka VanNess, interviews Dr Mark Epstein, Chief Medical Officer of True Health New Mexico. As Chief Medical Officer at THNM, and most recently as New Mexico Health Connections’ founding CMO, Dr Epstein leads a multidisciplinary Medical Management team securing highly coordinated care for their members. He and his team implement the companies’ programs in support of care model innovation. Prior to joining New Mexico Health Connection and then True Health New Mexico as Chief Medical Officer, Dr. Mark Epstein served at Presbyterian Healthcare Services as Medical Director of the Adult Medical Specialty Service Line and as Associate Medical Director for Specialty Care for the Presbyterian Medical Group. In these roles, Dr Epstein focused on the development of systematic approaches to clinical integration, the implementation of team-based care models in the hospital and ambulatory care settings, and physician engagement and compensation strategies, all to improve quality and service while reducing costs. Dr Epstein also served as the Medical Director for Presbyterian’s Urgent Care Clinics from 2006-2008 and as the Medical Director of Lovelace Health Systems’ Emergency Services, overseeing emergency care delivery at four emergency departments in the Albuquerque area from 2000-2004. 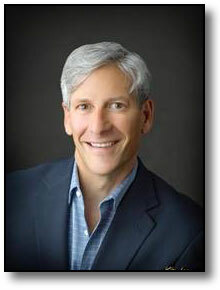 Dr Epstein has served on the Board of Directors for Albuquerque Ambulance Services from 2000-2012 and currently serves as a Trustee for the Greater Albuquerque Medical Association (GAMA) and as an Advisor for ABQid, a New Mexico-based start-up accelerator, supporting its Health and Wellness vertical. Dr Epstein is an Emergency Physician, having earned an undergraduate degree in Human Biology from Stanford University and a Medical Degree from Yale University School of Medicine. He completed his Residency in Emergency Medicine at the University of New Mexico Health Sciences Center in 1995. Dr. Epstein also earned his MBA from the University of Tennessee’s Physician Executive MBA program in 2007, where he was honored as “Outstanding Physician Leader”.